The Third Program of fiscal consolidation and bailout funding for Greece by European institutions and the IMF has been completed last August, eight years after the debt-crisis first erupted. Despite the jubilant mood adopted by the Greek Government to celebrate the end of “policy dictation from abroad” and a sense of cautious relief expressed by the European authorities, major problems that have precipitated the activation of the Programs still reign in. Not that Greece entirely missed the targets of fiscal tightening: in fact, the country has achieved one of the largest fiscal containment by turning a horrendous primary deficit of around -10% of GDP in 2009 into a strong surplus of 4% of GDP in 2018, much higher than the tiny average of 1.2% of GDP in the Euro Area as a whole; or the taming of the huge external deficit from around -15% of GDP in 2007, back to balance last year. My concern is that these two great achievements are far from being robust and sustainable, unless a major restructuring of the economy is put forward. Take for example, the external balance. Its containment mainly came as a result of reduced imports thanks to the contraction of aggregate demand, while exports rose only marginally. As soon as demand recovers, trade imbalances are bound to re-appear. Or consider the fiscal target. Currently the Government has – unwisely – agreed to accumulate primary surpluses to the tune of 3.50% of GDP for 2018-2022, 2.50% until 2029 and 2% thereafter, a much tighter consolidation than followed in other Euro Area countries. Such an ambitious target is harmful to the economy that is still staggering after so many years in recession, but is also highly uncertain as it is based on hyper-taxation. Most analysts predict that Greece will remain trapped in anemic growth, slightly over 1%, for a long time. Hyper-taxed and under growing, the Greek economy will prove strongly resistant to market reforms and continue to feel the heavy burden of indebtedness: last year public debt ended up at 179% of GDP, a huge deterioration relative to the 127% level that precipitated the crisis in 2010. Together with colleagues Milton Nektarios and Harry Theocharis, we set out to investigate how a credible and lasting solution is established in such way that spurns lasting growth and, therefore, facilitates the servicing of debt, encourages employment and helps the ailing social security system in Greece. Our analysis and proposals are described in ‘Restarting the Greek Economy: How by lowering primary surpluses, insurance contributions and the tax burden, Greece can lift growth, raise employment and stabilize public debt’. Our alternative is based on a new policy mix with primary surpluses lowered down to 1.50% of GDP, a target closer to the Euro Area practices, while the rest 2% of GDP is allocated to finance investment in infrastructure, new technologies and export-led growth. Higher growth makes debt servicing all the more sustainable and, at the same time, encourages reforms in taxation and social insurance. The reform in the social insurance relies on the complete annulment of the employees’ contribution rate and the reduction of the employer’s prime social insurance contribution, a total reduction of contributions by eight percentage units from 20% to 12% of the nominal wage rate. The measure aims to reinforce employees’ disposable income and cut out the incentives of moonlight employment, thus helping the finances of the system. The tax proposals mainly aim at the simplification of the system in order to reduce tax-evasive behavior and balance the tax burden on personal incomes and small-firms. Regarding indirect taxation, the proposal suggests the introduction of only two VAT rates with a standard rate of 20% and a reduced rate of 10%, while the current mid-rate of 13% is abolished. Income tax reform envisages a unified corporate tax rate at 20%, and a personal tax rate at 20% gradually rising by 1% to a maximum of 30% for the Euro 50,000 income bracket. Our alternative is the outcome of a detailed empirical investigation of labour market practices, the operation of the Greek tax system and the measurable effect of investment on economic activity. However, the real question is whether it stands any chance to appeal to policy-makers in Greece and the European authorities, since a substantial renegotiation should take place between them prior to its implementation? Well, I think that a credibility argument enters here. An economy is prone to reforms only if it becomes more inclusive, and growth remains the single most important factor in ensuring such a prospect. To let Greece continue on the current fiscal extravaganza will only mean further problems in the near future. 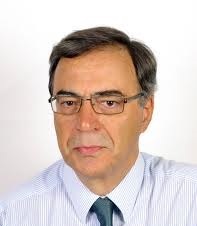 Nicos Christodoulakis is Professor of Economic Analysis at the Athens University of Economics & Business, and Visiting Professor at the Hellenic Observatory, LSE. The blog post represents personal views and not those of the Hellenic Observatory or the LSE. This entry was posted in EU, Greek GDP, Greek Politics, The Greek Debt Crisis, The Greek Economy. Bookmark the permalink.